REBISCO coach Francis Vicente looks forward to the exposure the squad will be getting against top-level competition when the 2017 Asian Women’s Club Volleyball Championship from May 23 to 31 in Kazakhstan. 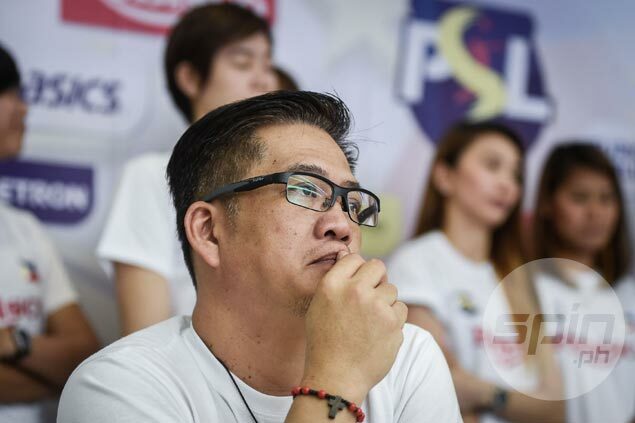 Vicente said the Rebisco-Philippine Super Liga Manila squad will definitely have their hands full against stiff competition, and he is interested to see how the players will respond to the challenge of playing at a very high level of volleyball in Asia. “It’s the discipline of how they will play the game competitively at the highest level na maabot nila para ‘yung highest level nila, puwede pa nating i-angat ‘yun,” said Vicente. “In terms of how they play the game, alam naman natin na intelligent sila and they have the skills. Huwag lang masyadong mataas ang expectations natin kasi nag-uumpisa pa lang tayo uli [in international volleyball],” said Vicente. Former La Salle players Mika Reyes, Aby Marano, and Kim Fajardo, National University’s Jaja Santiago, Jovelyn Gonzaga, Rachel Anne Daquis, and Denden Lazaro are part of the 14-man line-up for the Kazakhstan joust. Also with them are Bia General, Des Clemente, Maika Ortiz, Gen Casugod, Ces Molina, Aiza Maizo-Pontillas, and Rhea Dimaculangan. Rebisco, however, is bracketed with powerhouse squads Hisamitsu Springs-Japan, Tianjin Bohai Bank-China, and Vietinbank-Vietnam. PSL president Tats Suzara sees the Asian Women’s Club Championship as a great exposure to the players. “The Asian Club Championship is a tough competition. You have the best players of the region. You have China, Japan, and Vietnam in our group. What is important here is that the team which comes from different clubs are doing their skills in the level of the Asian competition,” said Suzara. The four teams in Pool B will face the four others in Pool A in the knockout quarterfinals to determine the Asian women’s club champion.